Rebecca Dalke Designs: Corporate Identity. 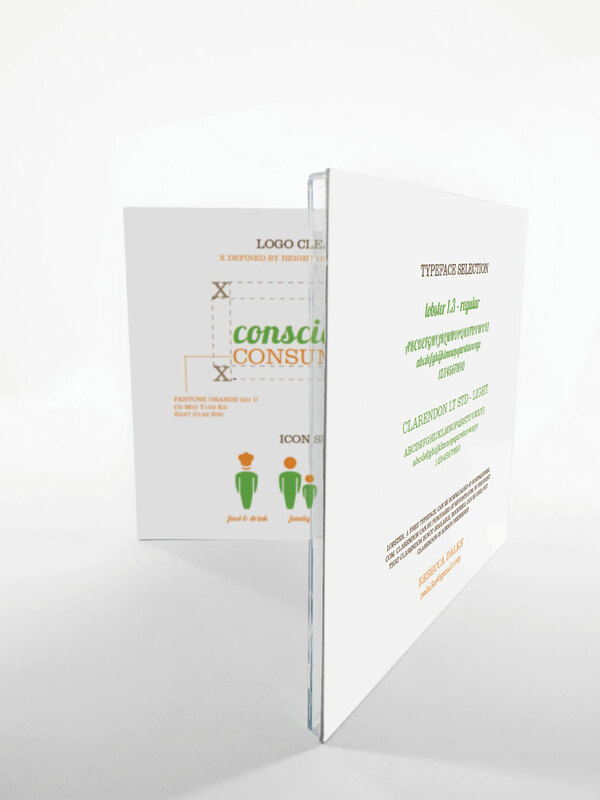 Conscious Consumer is a hypothetical website that would allow users to research, rate and review ethical products and services. 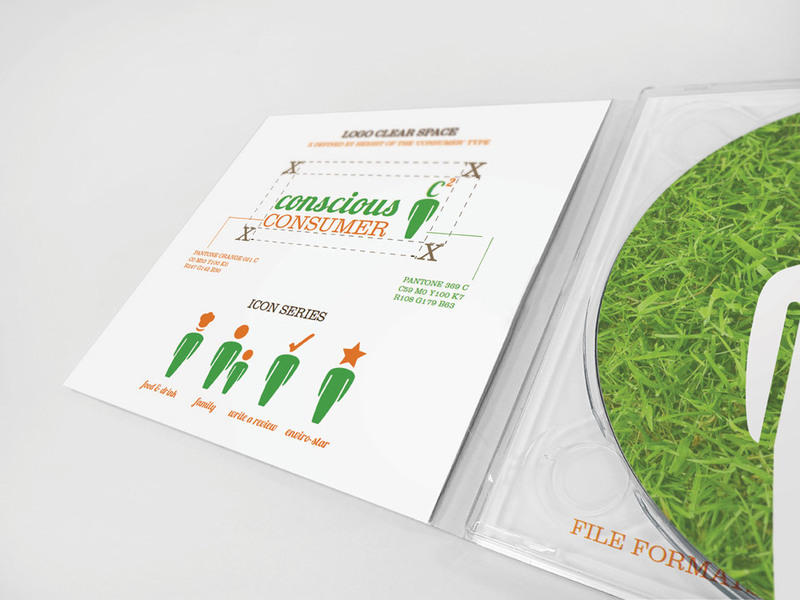 The c-squared concept plays off the alliteration of Conscious Consumer. 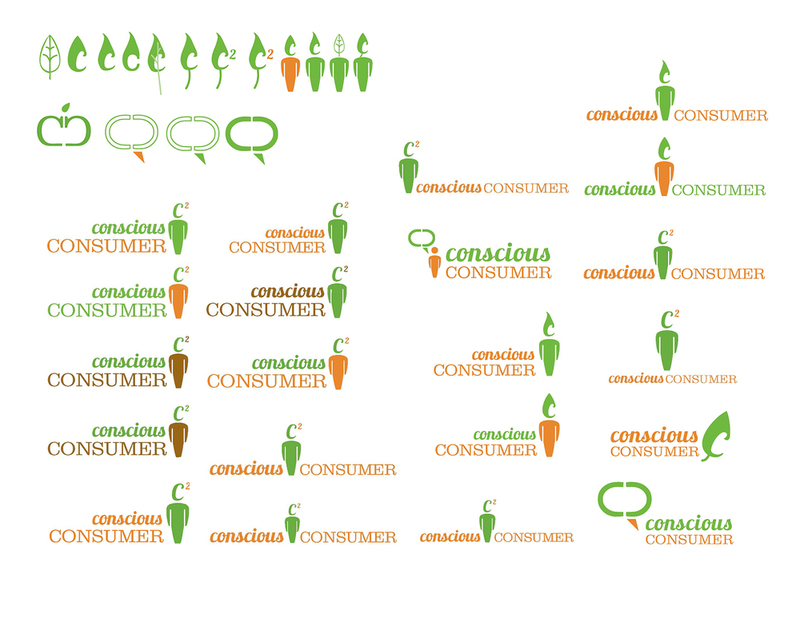 A conscious consumer is involved and thoughtful, which is why there is an uppercase C standing in for the figure's head and mind. The cursive C tilts slightly, feeling inquisitive. The figure literally has green on the mind while the rational ideas float above like a thought bubble. This fresh and energetic colour palette appeals to the green demographic, the users of the website and application. The branding guidelines include a CD-ROM with all the necessary files for the client, as well as information on how to use the logo appropriately, as was the intention of the design. The Change for Children Association raises awareness and accepts donations for many human rights projects in developing countries. This fresh, friendly take on the CFCA’s logo takes the concept of growth literally; as the letterforms grow in size from lowercase to uppercase, the final letter begins to sprout. 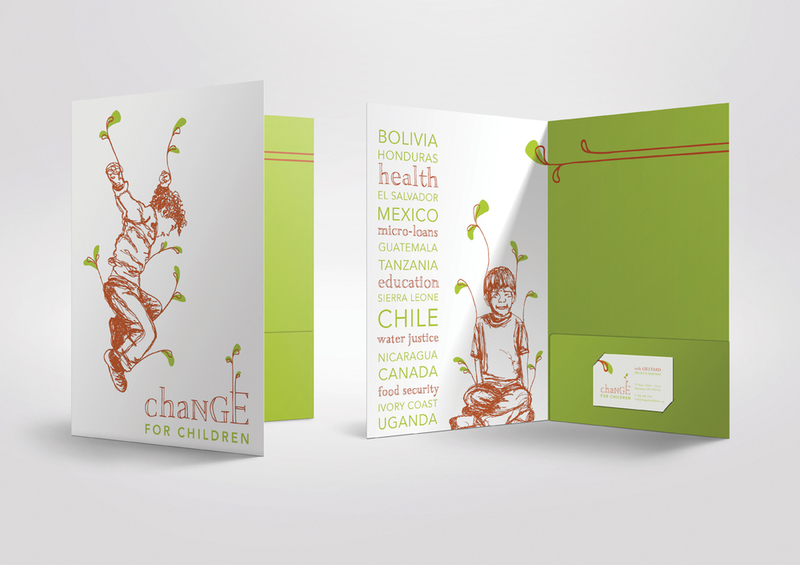 By hand-rendering the word change, the logo is lent a lightness and sense of humanity. The sprout motif is used throughout the stationery package as well as hand-rendered line drawings of children to reflect the logo. This imagery is used to tug at baby boomers’ heart strings, the primary target market.